MCI Screening Test: After completion of MBBS abroad, students have to clear MCI Screening Test (FMGE) in India. It comprises of MCQs from all 19 subjects in Indian MBBS curriculum. To clear this exam in 1st attempt, students are advised to start preparing right from the 1st year of MBBS. Solution & support: In order to guide the students in excelling in FMGE & NEET-PG, Education Consultancy offers MCI Screening Test Online Coaching to the students which starts right from 1st year till final year. In this, we teach entire Indian MBBS syllabus through MCI point of view parallely as different subjects proceed in their medical college. This helps not only for MCI & NEET-PG, but also in the college studies. The teaching faculties associated with us are from topmost medical colleges in India like AIIMS, PGI, CMC, KEM, BJMC. Time management: This is a structured online course, where we have divided entire Indian MBBS syllabus in small modules. Every module is further subdivided in blocks. Students are supposed to devote just half an hour daily for our course. They can study as per their convenience any time & anywhere. Although the course will proceed in small steps, it covers every corner of the syllabus in depth. NExT: Government is planning to implement a common test for Indian as well as Foreign Medical Graduates. Indian MBBS syllabus is being upgraded. Exam patterns are likely to change. 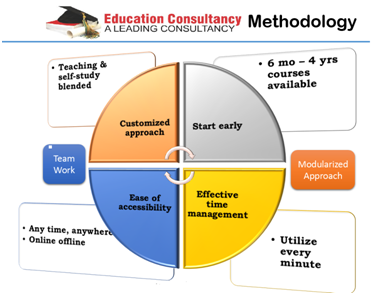 Education Consultancy upgrades the Online Coaching accordingly. All these up-gradations are absolutely FREE.